London-based workspace subscription service, AndCo, raised£800k ($1.04 million) last month in private seed funding to propel additional growth. AndCo is a subscription platform that allow members to book hot-desking spaces and meeting rooms in bars, restaurants, cafés and hotel lobbies across London during the working week. The British media platform, Business Leader, recently published an interview with Sanj Mahal, founder and CEO of London-based workspace subscription service, Andco, to discuss how his company is reawakening London’s independent bars, cafes and restaurants – and turning them into coworking spaces when they are not in use. I started the company with my wife, Nicole, early last year. We were both working together from home at the time, and quickly realised how important it was to keep our work and home lives separate. Not only can the absence of such a distinction can be particularly limiting in terms of productivity, but it can also have a real impact on mental health. In the past decade we’ve seen a real rise in freelance and flexible workers, and a general shift away from traditional office culture. Our vision is to allow incredible bars and restaurants across London to leverage their space by transforming it into co-working space during the working week when business is typically quieter. WHAT HAVE BEEN THE MAIN CHALLENGES IN THE FIRST YEAR OF THE BUSINESS? One of our biggest challenges to date has been getting venues to think more creatively about their own space. Bars and restaurants are developed in a way that facilitates socialising and relaxation, so it takes an element of imagination for venue owners to visualise, and embrace, their space being used in such a different way. WHAT TYPE OF VENUES ARE YOU WORKING WITH? The vast majority of our venues are bars, pubs and restaurants. We’ve already got more than 40 venues around London on the platform and we are adding more locations every week. 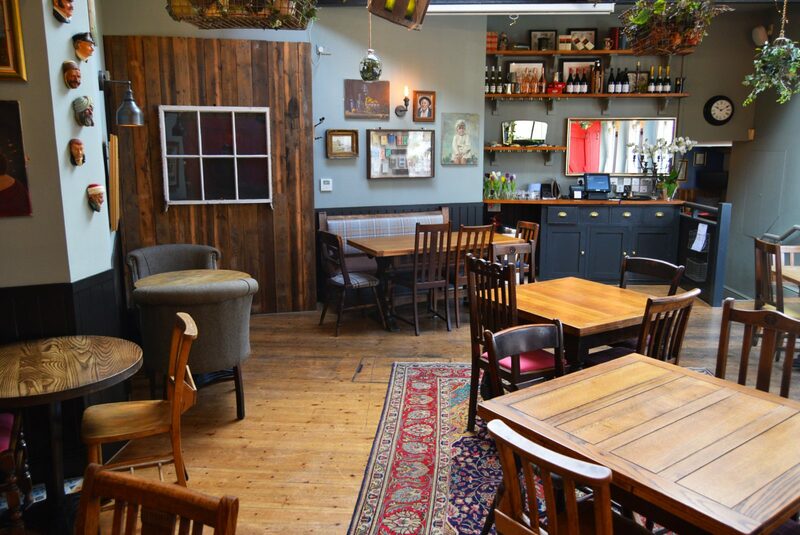 We have some beautiful, spacious central locations like Sophie’s Soho which is both a restaurant and a bar and is filled with comfy sofas and big tables, making it perfect for working. We are working with a range of cosy pubs and bars in southwest London like Beaufort House on Kings Road and The Lillie Langtry in Fulham. There’s also got a great selection of venues in east London on the platform, including Rehab Hackney and Ombra. CAN YOU TELL ME ABOUT THE PRIVATE SEED FUNDING CAMPAIGN? Over the last 12 months we have generated £800,000 in private funding. We have invested this into designing the platform, developing our tech infrastructures and executing our marketing strategy. These funds are also allowing us to further develop our technology infrastructure and support the continued growth in venues and members. WHAT TECH INFRASTRUCTURES ARE YOU LOOKING TO IMPLEMENT? We are constantly developing our website and app so that the experience for our users is as easy and intuitive as possible. Part of this has involved incorporating machine learning into our software, particularly within the search function, to ensure that users see the venues that best suit their needs. WHAT IS YOUR VIEW OF CO-WORKING SPACES IN LONDON AT THE MOMENT? They are typically very expensive and are often concentrated around the same central areas. By reprogramming space that would otherwise be under-utilised we are able to offer hot-desking space to our customers for a much lower price than conventional co-working providers. It is also fascinating to see that these places are being developed to look like trendy cafes and coffee shops. Clearly there is a demand for flexible working spaces with that specific type of feel so it’s great that we are able to make use of venues that already have this type of aesthetic. Why create something that feels like a lovely restaurant when these places already exist? WHAT ARE YOUR PLANS FOR FURTHER GROWTH? We’re currently growing at an excellent rate and are adding new venues every week – but, like most start-ups in similarly early stages, we’re perfecting our user experience before we throw ourselves into growth. That being said, we do have plans we will be delivering imminently concerning expansion into a range of different cities across the UK.